MommaSaid | READ 'EM AND REAP: See You Soon! 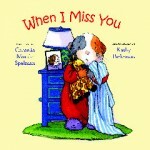 Children's Books on Coping with Separation. Browse: Home / 2011 / February / 09 / READ 'EM AND REAP: See You Soon! 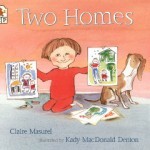 Children's Books on Coping with Separation. A while back, while I was packing for a business trip to New York, my daughter wanted to know why she couldn’t go with me. “This is a trip just for Mommy,” I said. Then I added, with a smile, “I’d put you in my suitcase if I could.” She laughed, but worried about me not being home. How long would I be gone? What if she had to tell me something? What if she needed me? I told her I’d call her every morning and every night, and would be thinking about her all day — and that I’d bring her back a present. Turns out she had so much fun with her dad, she wanted to do it all over again. For some parents, though, particularly those in the military, those divorced, or those who travel for business, being away is much more difficult. 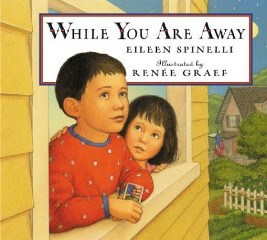 Reading books together that explain in simple terms about where parents are going, and why, and how much they’ll miss their loved ones, can help. 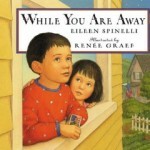 These books let kids know their parents are thinking of them wherever they are. A dad says a cheerful “bye-bye!” but his daughter wants him to stay. The pair perform a comforting ritual and his daughter learns it’s okay to cry a little or to sit by herself for a few minutes. 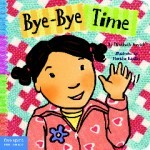 She discovers: “Good-bye isn’t forever./It’s for a little while.” Vibrant drawings paired with lots of smiling toddlers offer a positive spin on a kid-friendly lesson in separation. 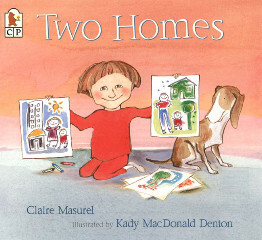 Gentle, lyrical prose combined with softly muted and realistic watercolor illustrations portray children’s feelings about missing their parents while they are away on military duty. A young boy tells how he misses going to the farmer’s market with his dad; a little girl comforts herself by playing with her mom’s music box; a boy brings his father’s portrait to class for show and tell. The last page shows a joyful reunion with each child’s parent. Ages 3-6; Albert Whitman & Co. In this heartfelt tale, a little guinea pig feels sad when his mom goes to work, when his parents go out and when his dad takes a business trip: “I don’t like missing you. I want you right now!” He learns ways to help himself cope, and realizes his loved one will soon be back. Cute characters and upbeat drawings add to the book’s appeal. 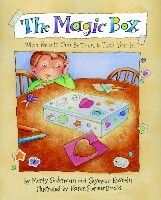 A child’s dismay about his father going away on business is realistically captured in this brightly illustrated and engaging story in which a father, to ease his son’s worries, leaves him a “magic box” containing “hugs and kisses.” Tips for parents appear at the back of the book. Alex has two homes. One is with his dad and one is with his mom: “Daddy lives here. Sometimes I’m with Daddy./Mommy lives there. Sometimes I’m with Mommy.” He explains how he has two of everything, followed by a sweet sentiment from his parents: “We love you, Alex. We love you wherever we are. And we love you wherever you are.” A reassuring story for little ones. Mia Geiger is a freelance writer in the Philadelphia area.